When It Comes To Family Pet They Always Have a Huge Place In Our Hearts. 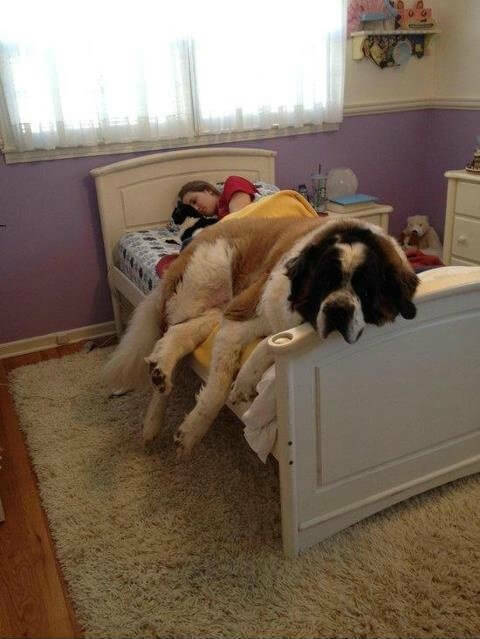 St. Bernard is one of the biggest dogs around. They were bred for rescue and gained their popularity from that particular heroic activity. 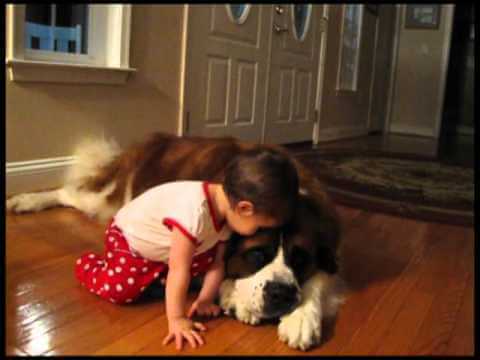 The St. Bernard is a giant dog, with the largest individuals reaching over 140 kg (310 lb). The average weight of the breed is between 65–120 kg (140–260 lb) or more and the approximate height at the withers is 70 to 90 cm (28 to 35 in). Cute Video of a Baby Playing With Her Boxer Got a Ton of Controversy! What Do You Think? 11 Amazing Life Hacks For Dog Owners –Watch the Pawsome Video here!